Out late June for consoles, late July for PS Vita. 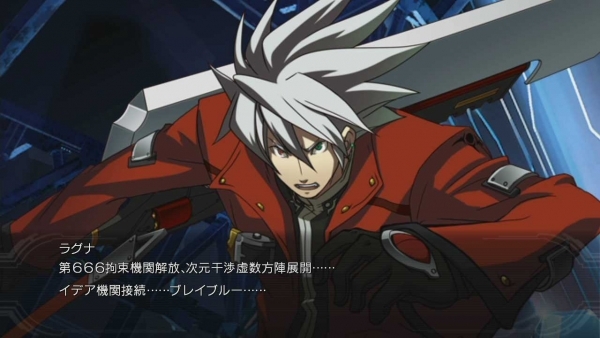 BlazBlue: Chrono Phantasma Extend will launch for PlayStation 4, Xbox One, and PlayStation 3 in North America on June 30, and for PS Vita on July 28, Aksys Games announced. The fighting game followup to last year’s BlazBlue: Chrono Phantasma introduces new fighters Celica A. Mercury, A and Lambda -No. 11-; new character story arcs including “Bullet’s Story: The Rat,” “Kokonoe’s Story: Collision,” “Kagura’s Story: Determination,” “Remix Heart Gaiden,” and a new gag scenario; more accessible modes; and cross-play between PlayStation 4 and PlayStation 3.